A loan of $2,000 helped us acquire much needed equipment, insurance and working capital, so we can gain additional contracts for GMST Transportation to continue to impact the city of Chattanooga. I grew up in the inner city, which is a large part of why I started my own business. I want to the ability to hire those that are from the inner city and provide them with a chance to have a job. After years of working hard for someone else, we can put the same energy into our own in hopes of getting the same results. You always get what you put in it. One of the biggest things we are looking forward to is building a brand that our kids can carry on. We all have kids, families, and loved ones that we transport, so we treat every client, individual, as if they are a part of our family. It helps a female entrepreneur help out her local community by expanding her transportation business. 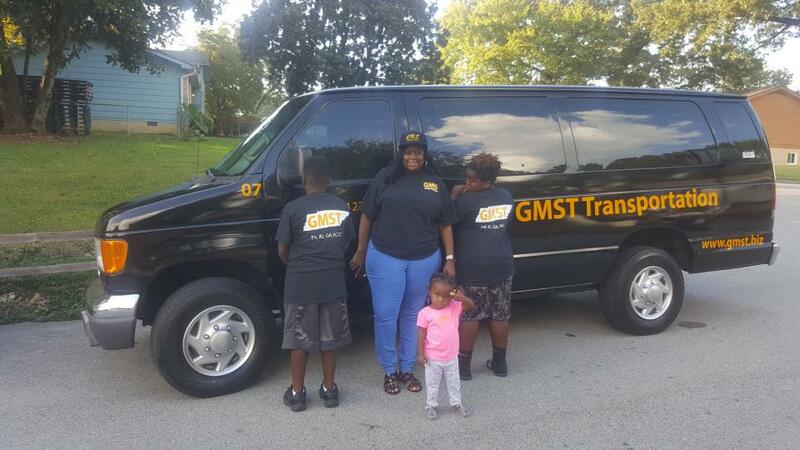 After a year of doing research, we decided to start GMST, a non-emergency transportation company in October of 2017 focused on veteran, low income and disability communities. We're in the golden years of the baby boomers, where transportation is in demand, and it is very important to get to an appointment on time. Just last year, almost 21% of low income patients were late or didn't make their appointments at all. After a review of these statistics, we have learned what will benefit our customers and residential families most. As a family owned and operated business, we are able to share that family love to our clients as we help in their time of need, With time, we plan to grow, build and rebuild our community, as well as spread knowledge to youth and families in the surrounding counties. This loan would allow us to get some much need equipment so we can deliver great service, to add more vans to our insurance, and to gain working capital. As a small family-run business, working capital is needed to become successful and to develop a brand that can last. With this loan, GMST Transportation will grow to the next level and have the ability to help those in our community get to the places they need to go. Why are you endorsing Cheryl? Cheryl and Reginald have been working hard to build connections for their business and we are excited that they have been meeting with us at City Hall to expand their network. They recently secured a contract to provide transportation for a government and cultural delegation visiting from Tono, Japan, and this also supports the efforts of our work at City Hall. In addition to the entrepreneurial work that GMST does, they also help many children in Chattanooga and connect them to experiences and resources throughout the city.